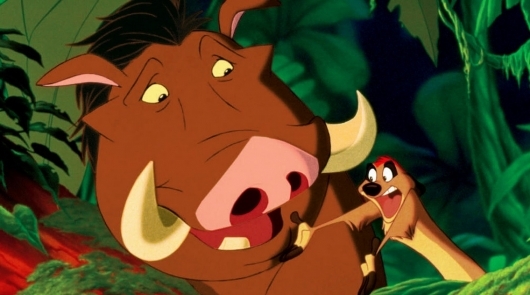 Just moments after Disney announced the release date for director Jon Favreau‘s The Lion King, the studio also announced the two actors who will provide the voices of Timon and Pumbaa, the meerkat and warthog duo that help Simba learn about Hakuna Matata. According to new reports, Billy on the Street host Billy Eichner and This Is The End‘s Seth Rogen will now voice the two. They will be joining the previously announced Donald Glover, who voices Simba, and James Earl Jones, who once again voices Mufasa. Beyonce Knowles is in talks to voice Nala. More on the story below.